It doesn’t take much space to tell a brand story. 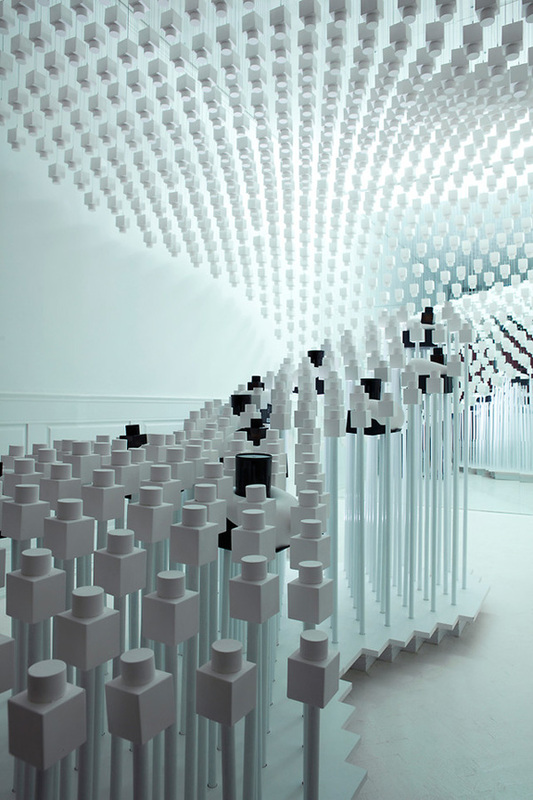 This is evident in the temporary 350 ft wide environment that was created for scent maker, Odin. 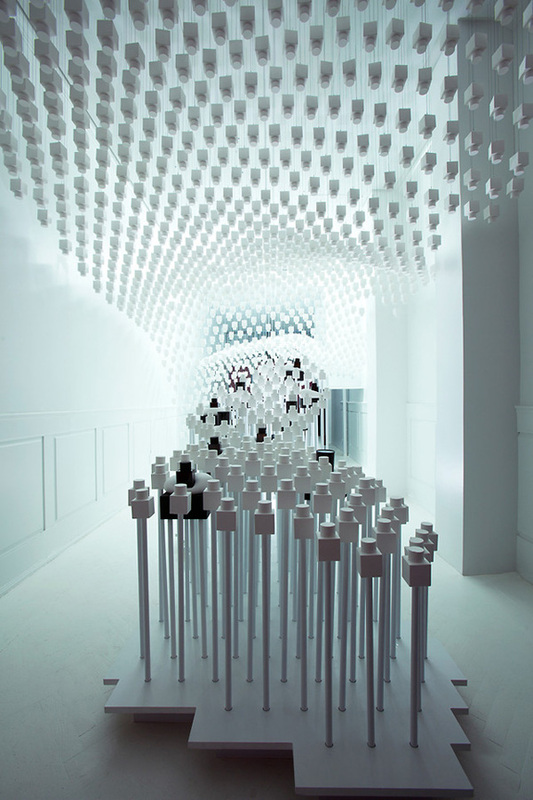 Designed by Brooklyn duo, Snarkitecture, the environment is dressed with a floor to ceiling white on white undulating sculpture made up of 1,500 white gypsum cement “bottles”. The bottles are the same shape as the actual product. The Odin bottle is a dark color with little text or decoration. Throughout the display, the bottle shows itself through the sea of white cast bottles. The dark brown fragrance bottles were backlit and indented into the smooth white displays. Appearing as soft amorphous forms, the displays revealed themselves as the same hard white gypsum cement as the ghost bottle replicas. The artistic space allows visitors to experience the luxurious fragrances of the brand with a visually stimulating art piece that creates form, texture and visual interest.